Everyone knows fish is good for you. So it’s no wonder consumers are confused by headlines warning fish eaters of impending doom. In late 2002, a San Francisco Chronicle headline warned that eating fish can be risky because of the high content of mercury in some deep-water fish. A physician in Northern California had found that wealthy individuals eating expensive fish, such as swordfish and tuna, were placing themselves at risk for mercury poisoning — even as they were trying to eat healthy. In 1 case, a woman suffered hair loss and high levels of mercury in her blood. That spurred Dr. Jane M. Hightower, an expert of internal medicine at San Francisco’s California Pacific Medical Center, to fish around for answers. Hightower studied her own patients, who were wealthy and ate lots of gourmet fish — swordfish, sea bass, halibut and ahi tuna. She found that patients who often ate these fish or were experiencing symptoms of mercury exposure (fatigue, headache, joint pain, and reduced memory and concentration) had unacceptable levels of mercury in their blood. Hightower retested these patients after they abstained in the defendant fish for six months. The elevated levels of mercury vanished. Not surprising, the FDA has issued warnings about high levels of mercury for a number of these fish. Fish is low in cholesterol and has been the protein of choice for cardiologists and weight-conscious Americans. It is a fantastic source of omega-3 fatty acids, which have been shown to lower the risk of cardiovascular disease by lowering cholesterol and decreasing the stickiness of blood platelets. This implies omega-3 fats may lower the risk for stroke. Studies have shown conclusively that people who eat a diet rich in fatty fish — salmon, mackerel, sardines, anchovies and tuna — are less likely to suffer cardiovascular disease and stroke. 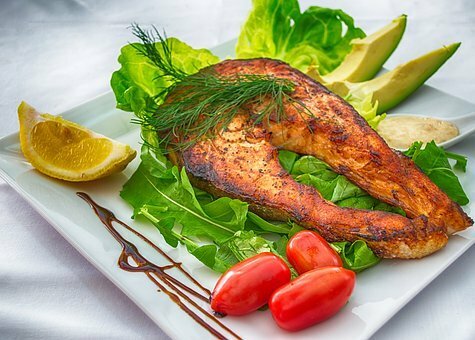 One study published in the journal Circulation (American Heart Association) showed that eating fish regularly reduced the risk of cardiovascular disease in diabetic women as much as 64 percent. Researchers at Chicago’s Rush-Presbyterian-St. Luke’s Medical Center found that older people who eat fish at least once a week may cut their risk of Alzheimer’s disease by more than half. It is not necessary to eat fish every day to reap the benefits. According to a study in The Journal of the American Medical Association, men who ate about three to five ounces of fish one to three times per month were 43 percent less likely to have a stroke through 12 years of followup. Men who ate fish more often did not lower their risk any further.